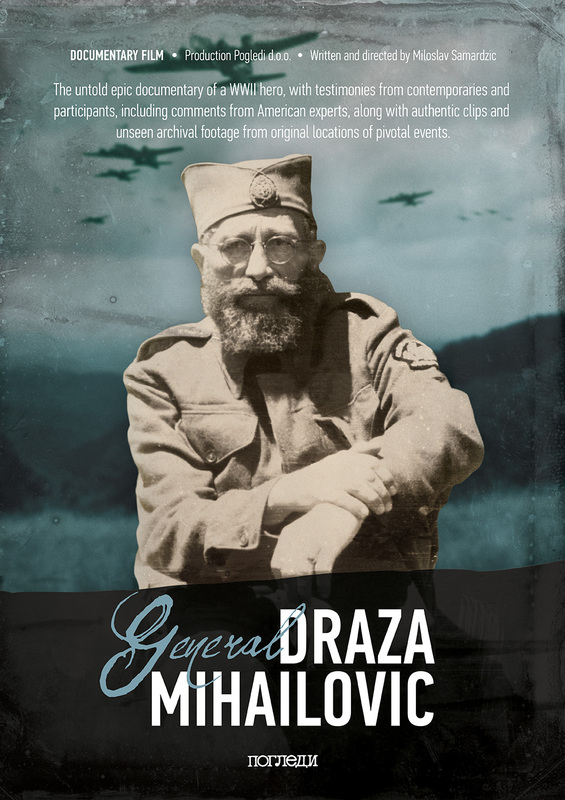 On Draža’s day in 2018, the Pogledi Film Company from Kragujevac, Serbia, publishes a poster for its documentary film “General Draža Mihailović,” which is in the production process. The poster was created by university professor of applied design, Nikola Berbakov. It is available in Serbian and English. The length of the film is 110 minutes. Production is expected to be completed in October of this year. To learn more about the film, including the trailer, see here.